Have you been thinking about trading in your current vehicle for something a big more fun? At Butler Auto Group, we think it’s worth it to treat yourself from time to time, and we currently have a huge lineup of new convertibles on offer from manufacturers like BMW, Ford, and Nissan. Whether you’re looking for performance, luxury, or some combination of the two, you’ll find it at one of our dealerships in the Macon, Milledgeville, and Warner Robins areas. 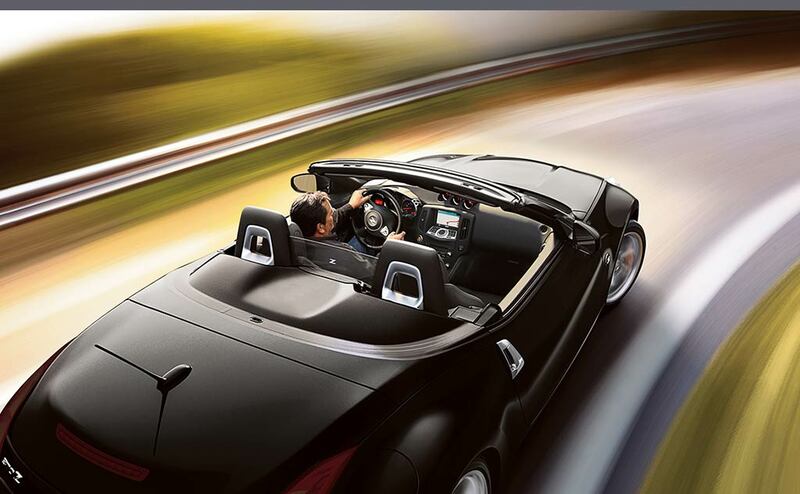 Take a closer look at our convertible lineup, and stop by any of our dealerships for a test drive. 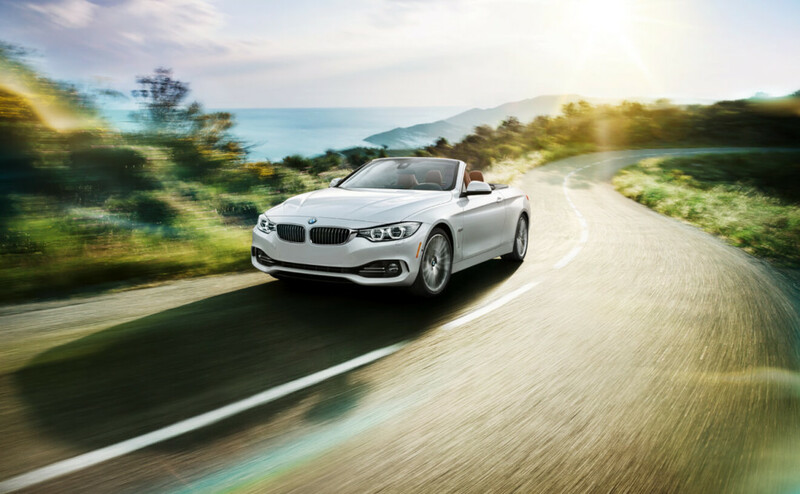 With an MSRP from $38,950, the 2016 BMW 2 Series Convertible is your chance to own a performance luxury car with a world-class badge for under $40K, all while still getting plenty to work with under the hood and inside the cabin. For performance, you’ll have two different engine options: a turbocharged 2.0L inline-four that produces 240 hp and 255 lb-ft of torque and a 3.0L inline-six that bumps you up to 320 hp and 330 lb-ft of torque. Both models are offered with rear-wheel drive and BMW xDrive® all-wheel drive and are available in both six-speed automatic and manual versions. This two-door convertible has standard seating for four and comes with a power fabric roof, a wind deflector, pop-up roll hoops, and tech features like Bluetooth®, a 6.5-inch BMW iDrive touchscreen, and much more. 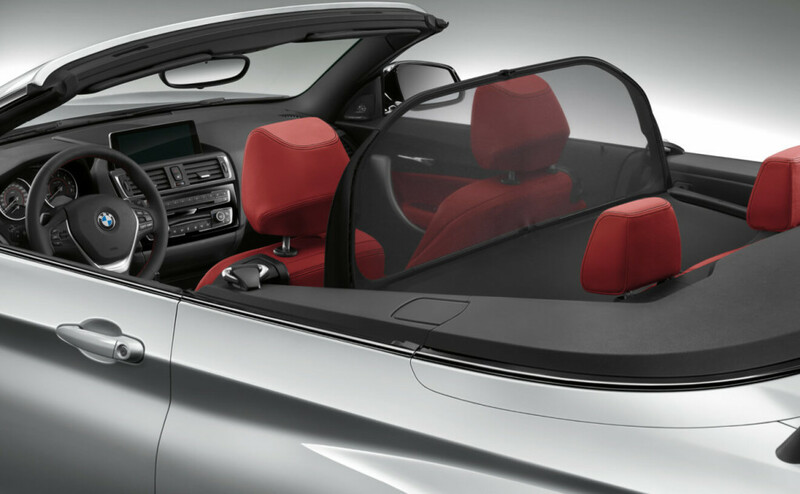 Upgrading to the BMW 4 Series Convertible allows for even more standard and available luxury amenities. Starting at $50,300 MSRP, the BMW 4 Series comes standard with a power hardtop roof, memorized driver settings, power adjustable front seats, and much more. Moving up the line, you’ll have access to BMW Apps, wood and aluminum cabin trim accents, premium leather upholstery, and heated front seats. The BMW 4 Series Convertible is also offered with standard seating for four and your choice of a turbocharged 2.0L inline-four and turbocharged 3.0L inline-six. 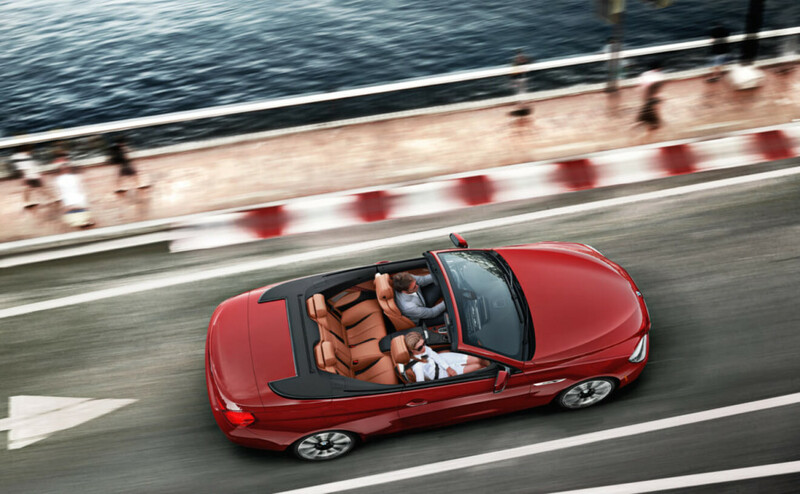 The 2016 BMW 6 Series stands at the top of the BMW luxury convertible lineup, with an MSRP starting from $85,100. Even the base trim of this two-door luxury convertible comes with leather upholstery that reflects the sun, keyless entry, push-button start, front and rear parking sensors, heated front seats, memorized driver settings, and ambient cabin lighting. Available upgrades include a premium Harman Kardon surround-sound stereo system, ventilated front seats, a simulated suede headliner, and much more. The base engine is the turbocharged 3.0L inline-six, but you can also opt for a turbocharged 4.4L V8 that’s good for a hefty 445 hp and 480 lb-ft of torque. 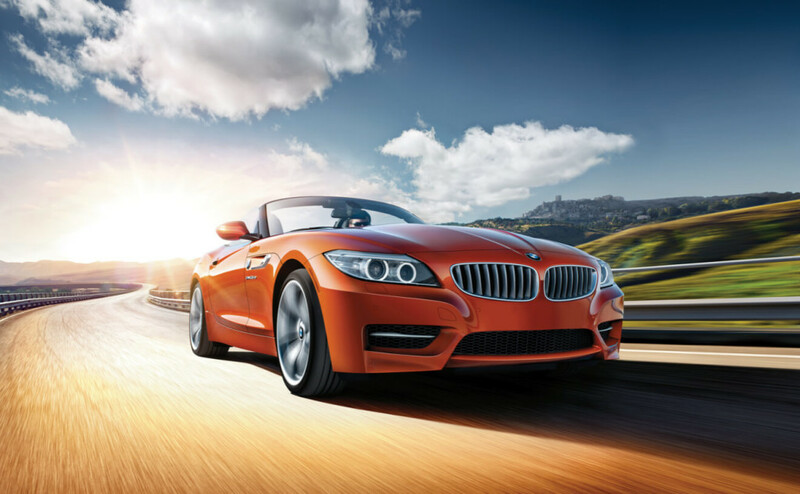 If you’re looking for exuberant performance and precision driving dynamics from a luxury convertible with serious driving prowess, the 2016 BMW Z4 might be the right pick for you. This high-speed roadster starts at just $49,700 MSRP and puts a serious focus on performance without sacrificing any of the creature comforts BMW shoppers are looking for. This two-seater comes with a retractable hardtop, standard SensaTec leatherette upholstery, and premium trim quality and soft-touch materials throughout. There are three different engine options available, including a top-of-the-line turbocharged six-cylinder engine that puts forth 332 hp and 369 lb-ft of torque. That’s enough power to allow this model to move from 0 to 60 mph in just 4.8 seconds. Capture the look and feel of a classic American icon with the 2017 Ford Mustang Convertible, with an MSRP from $30,415. The sculpted lines and imposing presence of the Mustang Convertible can be paired with a range of high-performance powertrains, including a 3.7L V6, an EcoBoost turbocharged 2.3L inline-four, and the GT’s beefy 5.0L V8 with a commanding 435 hp and 400 lb-ft of torque. No matter which engine you go with, you’ll get rear-wheel drive and a choice of a six-speed manual or six-speed automatic transmission. 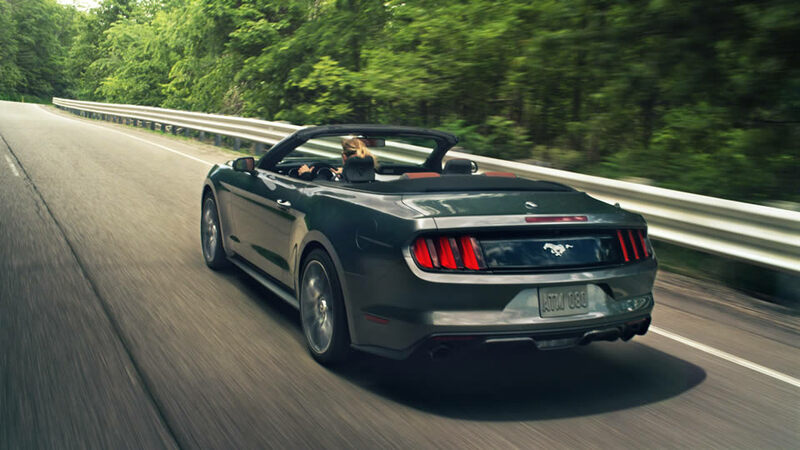 The Mustang is decked out with a soft top and standard features like Track Apps performance monitoring software, Bluetooth®, SYNC voice-activated controls, and much more. It comes with standard seating for four and provides you with 11.4 cubic feet of cargo space in the trunk. With an MSRP from $41,820, the 2017 Nissan 370Z Roadster is your chance to own a vehicle with world-class performance capabilities for a fraction of the cost. All versions of this model come standard with a 3.7L V6 engine that puts out 332 hp and 270 lb-ft of torque, creating enough power for this car to zip from 0 to 60 mph in around 5.5 seconds. The Nissan 370Z has been precisely engineered to deliver precision steering, and the rigid suspension makes you feel one with the road. Upgrade to the Touring Sport for Nissan sport brakes and a limited-slip differential. Cabin highlights include available leather upholstery, a Bose® stereo system, and a Nissan Hard Drive Navigation System. There are plenty of ways to get around town, but why not do it with some style and the pleasure of wind in your hair and the sun on your skin? With numerous luxurious and high-performance options to choose from, Butler Auto Group is your one-stop shop for convertibles, with competitive financing and lease rates available. We look forward to serving your convertible needs near Macon, Milledgeville, and Warner Robins, and we invite you to contact our helpful and knowledgeable sales team with questions or concerns.